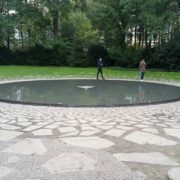 The Second World War and its atrocities ended over 70 years ago and it is now much harder to find and talk to survivors than only twenty years ago. With the survivors dying and time passing, the lessons of the Holocaust are in the danger of losing their power. With many survivors no longer able to tell their stories, most of the lessons and lectures that had once been delivered by a human voice are now dependent on the vast sea of textbooks, lecturers, and statistics that seem to not hold the same emotional power. 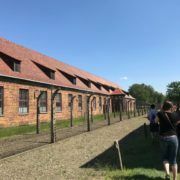 Many historians and teachers understand that teaching about the Holocaust requires different approaches than a typical history lesson. 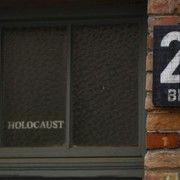 Among the historical community, the most widely accepted idea is that the Holocaust should not be turned into the recounting of the sequence of events lost among the many other details of the Second World War. Therefore, the Holocaust is being taught and explained in a way that stresses the humanity of those who suffered at the hands of the Nazis and their life stories to make sure it is understood and provides lessons for preventing something similar from happening again. The humanization of the Holocaust is not seeing it as a historical lesson, but rather viewing it as an event in humanity that must be kept as emotionally tied and real as what is happening today, lest we forget it and risk a repeat of the atrocity. 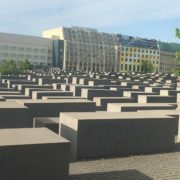 One way in which the teaching of the Holocaust differs from that related to other historical periods is in how the lesson itself is delivered. Many other historical periods, such as the Renaissance, the Revolutionary War, and even the First World War, can be taught through statistics, numbers, and facts. 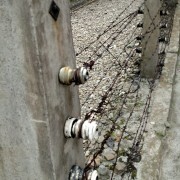 In the teaching of the Holocaust, instead of numbers, it is better to teach through the eyes of victims. Historians and historical institutions attempt to build in the thoughts, feelings, interests, and emotions of the victims. The number ‘6 million’ seems like a disservice to those who died in such a horrific way. 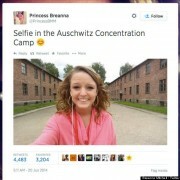 By keeping the Holocaust ‘human’ you are allowing the lives and struggles of those who suffered to remain real. It’s not a statistic, its a recount of history through the lens of those who lived through it. Their own individual struggles and lives that had been cut short. These people were mothers, fathers, brother, sisters, husbands, and wives, like most people today. When they were forced to leave their homes, the victims brought along items that held significance to them, as anyone would, items like photographs, dishes, articles of clothing, house keys and more personal belongings that the owners felt like they couldn’t bear to part with. 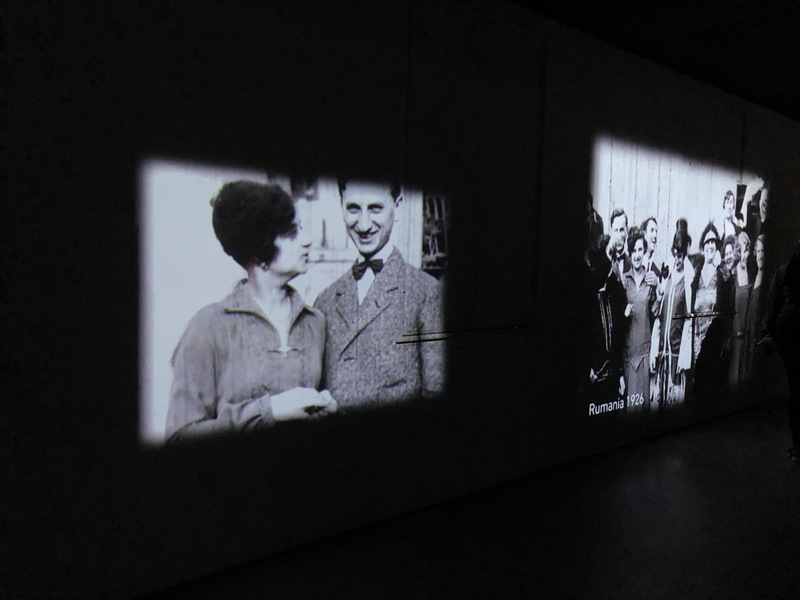 The Holocaust must be kept and seen in a view that goes along with the victims’ experiences and not made out to be seen through a lens of a mere observer. 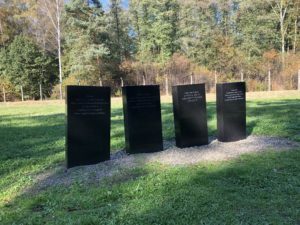 At many of the memorials or museums that were once concentration camps or death camps, the idea of humanization of such a horrific event is very much present. 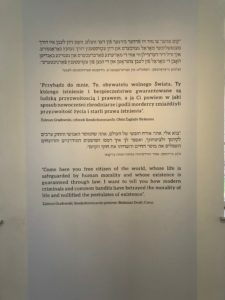 In many of the buildings at Auschwitz I, the walls are adorned with pictures and quotes of those who had perished there. But there is also some other information listed, such as the occupations of these individuals: baker, teacher, nurse, carpenter, and more are listed among the hundreds of thousands of pictures. And these are not the only small details that seem to drive home the idea that these people were just people who were trying their best to live their lives and hoped that eventually, they would be able to make it back to their homes and live a normal life once more. 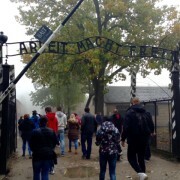 The understanding that an event of this scale could happen to anyone is a large undertone present at Auschwitz, both at the original site and Birkenau. The drawings of children that seem eerily similar and misshapen to the ones present in modern classrooms across the world are littered in a room dedicated to the child victims. Almost as if reminding visitors that these pictures could have very easily been adorned on the walls of a classroom or at home, rather than a concentration camp. Another room contains the bags of those who were killed, some handles bearing a small piece of fabric as a marker for the person… another small detail that many people today still practice when trying to locate their bag on a carousel after a long trip. Gazing upon these items, allows one to see and feel that gut sinking idea that the victims of such hate could be anyone, and that these small little things that seem so insignificant are something every human being does. 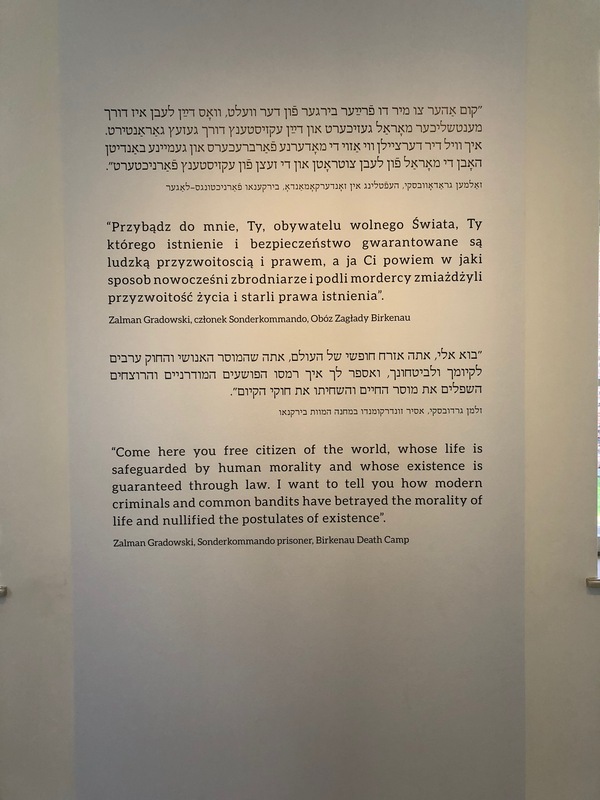 The most powerful exhibit though in all of Auschwitz that truly delivers home the understanding and message that the victims, specifically the most targeted group, the Jews, was the exhibit created by Yad Vashem, the institution in Israel charged with Holocaust remembrance. The exhibit opens in a long, dark and narrow room where prewar home movies of daily lives of Jewish people from Europe and beyond are projected on all the walls. Children play in school, a man and woman get married, a young woman enjoys her winter while showing off her ice skating skills… to normal people, it all seems like they’re just going about their normal lives. Short films of Jewish life prior to the Third Reich. People live normals lives, happy lives. in a brightly lit room. The exhibit takes a sudden turn when suddenly the room changes into one of Nazi Propaganda and the voices of various high profile Nazi’s giving their speeches as one wanders through the room. 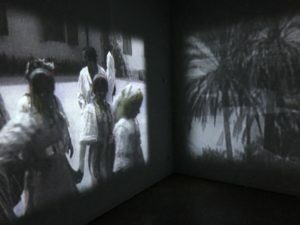 The exhibit perfectly drives home not only how many victims were dehumanized, but also how a peaceful life could change into something so horrid with a mere group of people who knew exactly what to say, do, and enact in order to label them as something lesser… something inhuman. 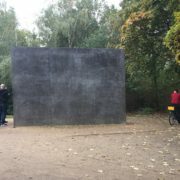 Reminders of Nazi propaganda and how effective it was is needed so that visitors will understand and see these events as more than a mere site for tourism, or even as a historical event. The Holocaust must be seen as one of the darkest and most twisted events of human history, an understanding that must never be changed or skewed. More short films of Jewish life Prior to the Third Reich, these movies are on every inch of the walls in a long room. 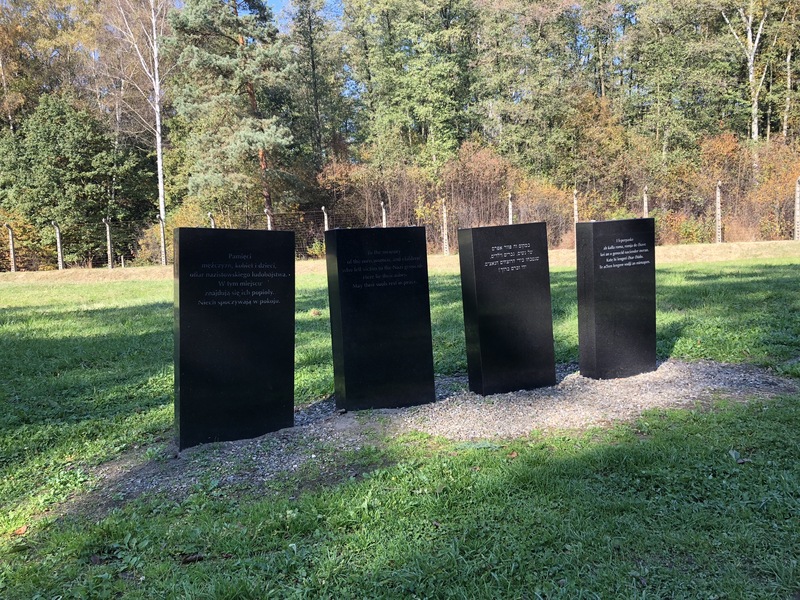 One set of various tombstones around Auschwitz, showing respects to the victims who died, and as a result remembering them as people and not a number. lost. Instead, they would be present and accessible for many generations to see and experience.